Jozef Zaligman, like Jetje and Mientje was a child of Betje de Vries (1862) and Wolf Zaligman (1852). All three of them lived in Meppel. Jozef was born on the 11th of July 1889, and was married to Bertha van de Rhoer (born 2 January 1893). His occupation was cattle trader. 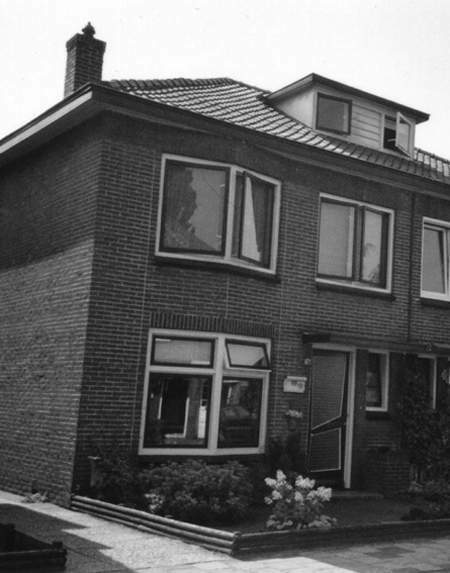 Jozef and Bertha first lived at 46 Emmastraat and from 1935 they lived at 28 Soembastraat. They had one son, Wolf Jacob (born 6 December 1929). During the first part of the war, they had an old lady, Judik Kan staying with them. She was the widow of Benjamin Aaron Cutzien. Like the Zaligman family, she also came from Dwingeloo. Through the years, well to do businessmen had come to live in Soembastraat. The Zaligman family was one of them. IIn 1941, their son Wolf (known to his friends as ‘Wollie’) was in the 6th form of the Zuiderschool. He had two Jewish classmates: Ernst van Esso and Max Schaap. Naturally, all three of them were victims of the German regulation denying Jewish children access to a mixed school. The regulation came into practice on the 1st of September 1941, but it was only in February 1942 that the children could attend school again, the Jewish primary school of course. With reference to the letter mentioned above, I am prepared, as long as your son W. J. Zaligman has no possibility of receiving education in Meppel, to pay the expenses of his travelling to Zwolle to attend the Jewish school for primary education. In anticipation of your declaration stating the expenses, time and place, and type of transport that was used. 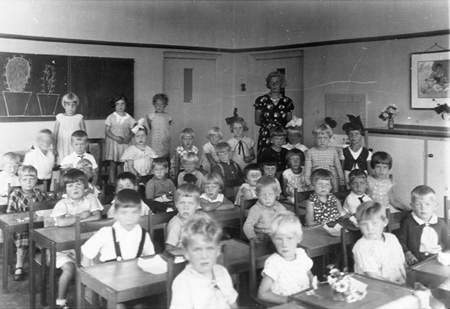 Third row, second from the left: Wolf Zaligman at the Pelikaan nursery school. It appears from the declaration Jozef Zaligman submitted, Wolf travelled by train to attend school in Zwolle for one month. In courteous reply to the letter of the 19th of Jan. 1942 regarding the attendance of a school in Zwolle by W. J. Zaligma , we grant the sum of fl 13, 20 for a school season ticket of the state railway from 11 Jan. to 11 Feb.
On the 1st of February 1942, the Jewish primary school in Meppel opened, so that Wolf and the daughter of Benjamin van Gelder could attend school in Meppel again. Not for long, though; the school remained open until the 1st of September. That was the end of education for them and for many other Jewish children. Wolf Jacob could go to this school even a shorter period than the rest, because during the school year 1941-1942 he went to the Jewish Lyceum in Zwolle. In the meantime the Zaligman family went on with their lives. For unknown reasons Jozef did not have to report to work in the work camps of Orvelte and Vledder. It was only stay of execution. The whole family was taken from their home on the 3rd of October; on the 2nd of November they were transported to Auschwitz. On the 5th of November they were gassed. Mrs Kan lived with them.